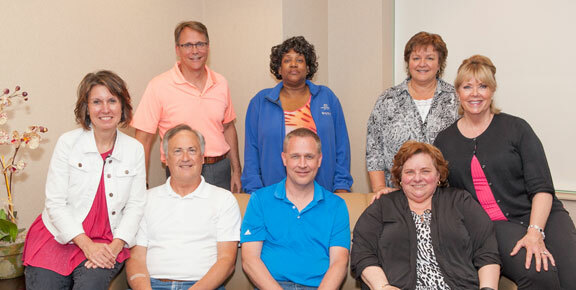 The Atrium Credit Union Board of Directors is elected by the membership to advocate on its behalf and set the strategic direction of the credit union. As a Board member, you’ll work with a group of dedicated individuals to review financials, approve policy and set the vision for the future of the credit union. Serving on the Board is a unique opportunity to get involved and share your expertise in guiding the credit union. The responsibility of the Board is broad – requiring responsible and thoughtful commitment to overseeing safety and soundness, risk management, performance and strategic direction of the credit union. A diverse and skilled Board that represents the diversity of Atrium Credit Union membership is important. The Board serves on a volunteer basis and is elected by Atrium Credit Union membership annually. All Board members serve a three- year term and are encouraged to attend monthly meetings with the Manager/CEO. Board members may be asked to dedicate 8 to 13 hours a month to credit union business and training on various credit union topics. Training is offered to all Board members, individually and/or a group. The election for the Board of Directors is held every year. To apply for a position on the Board, you must meet membership and eligibility requirements. The election committee will review all submitted applications, determine final eligibility and schedule discussions with all candidates. Approved candidates will then be listed on a ballot and voted on by Atrium Credit Union members. Results of the election are announced at the Annual meeting. Please contact Atrium Credit Union for an application.